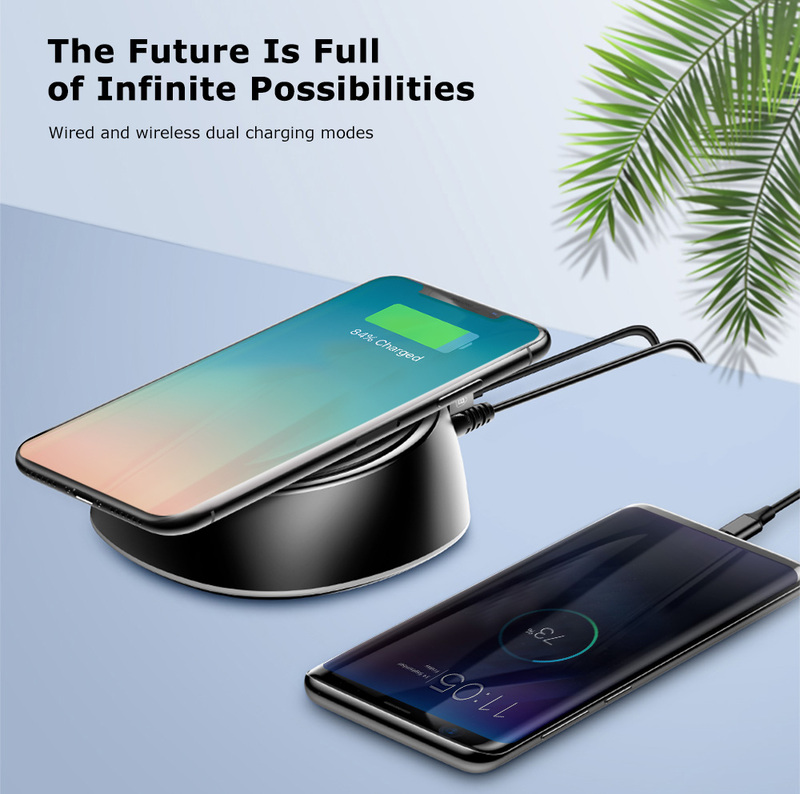 The Baseus 2in1 Wireless Charger CCALL-XK01 is a universal charger that allows you to charge portable gadgets both wirelessly and wiredly. 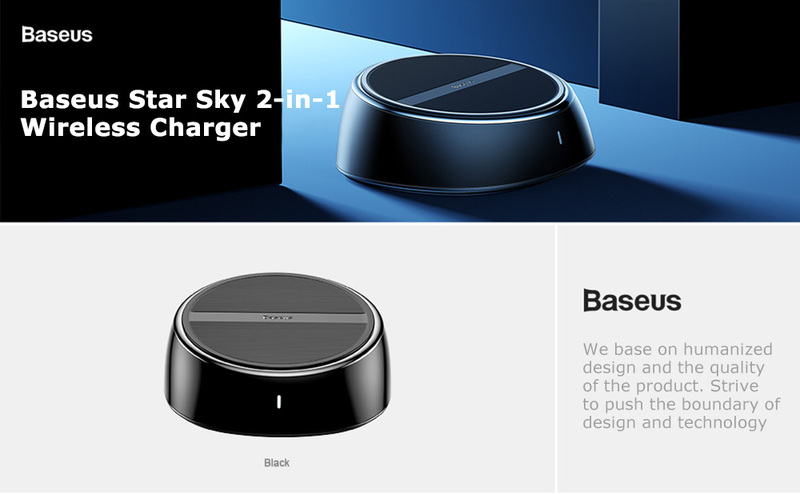 The model is equipped with a round rubberized platform on which a smartphone supporting QI wireless charging technology can be conveniently located. 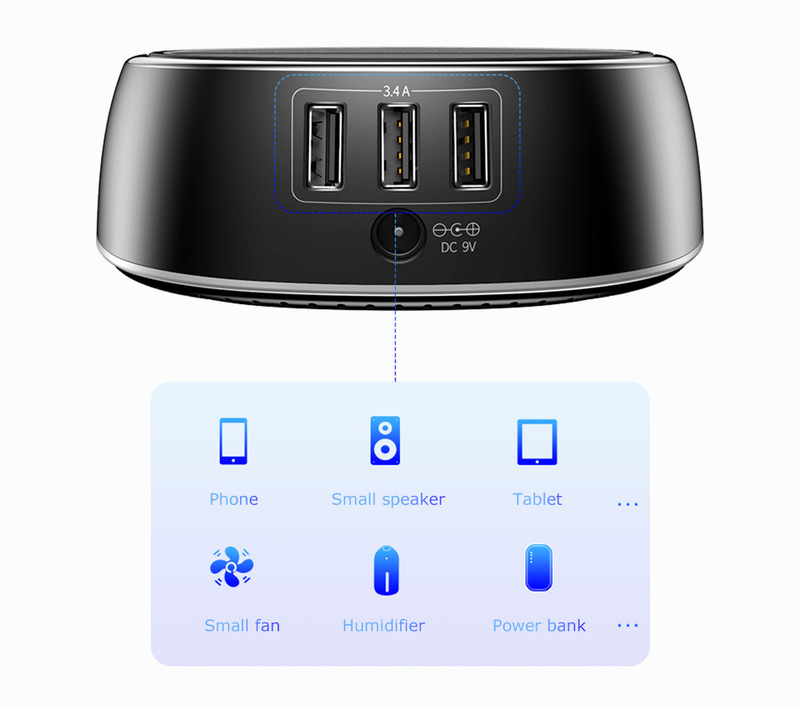 Also in the memory, there are just three USB type A output ports for charging compatible devices. The maximum current of the device reaches 3.4 A, and the total power - 25 watts. 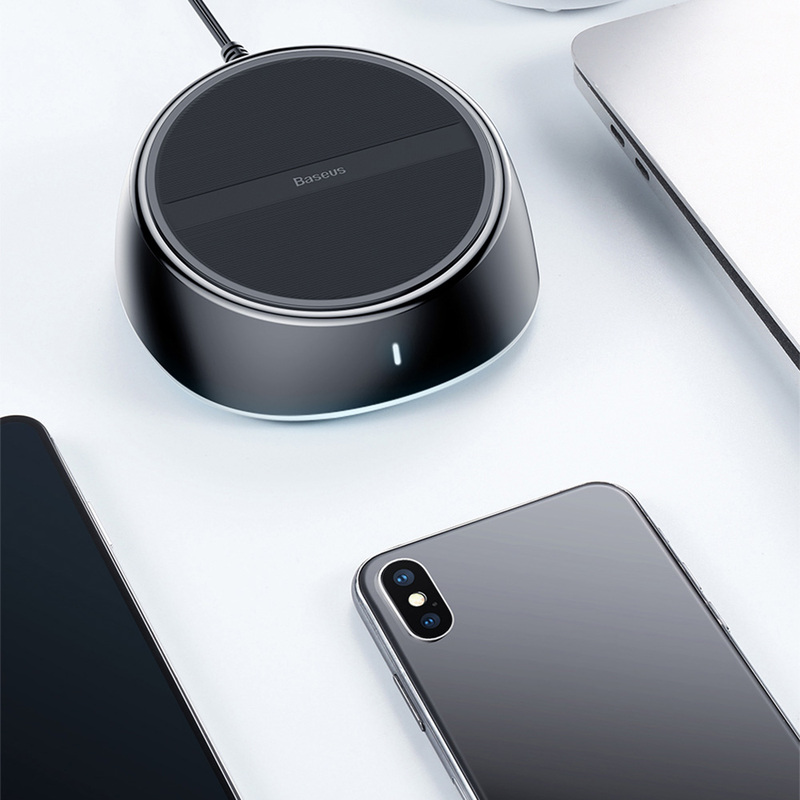 The Baseus 2in1 Wireless Charger has a stylish and compact design. It will occupy a minimum of space on the desktop or bedside table. The working surface has a rubberized coating that will not harm the smartphone being charged. 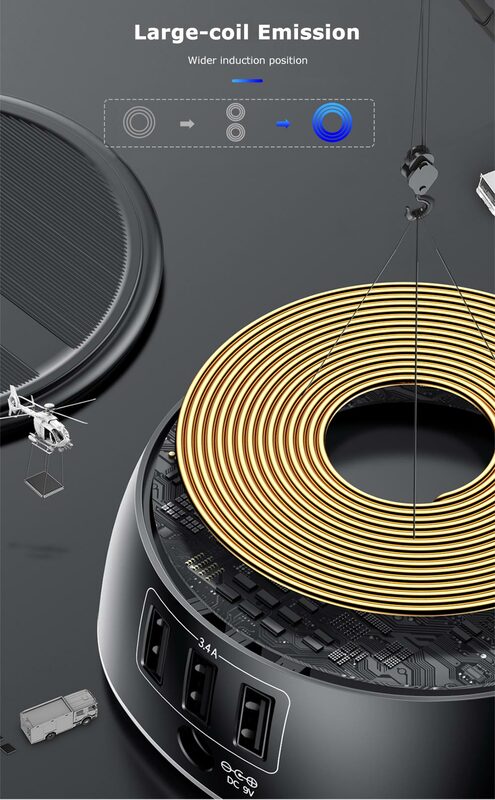 Wireless charging function is designed for people who love new technology. 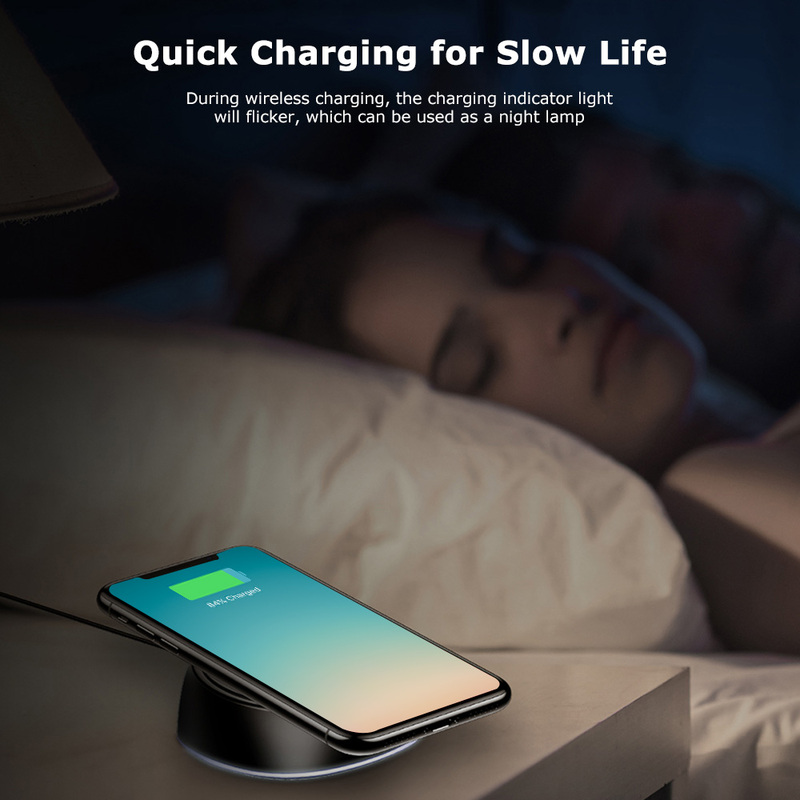 Wired charging function is suitable for those who prefer traditional charging way. Only one charger, meet different charging habits. Do not hesitate. Take one with you. - 2-in-1 design. 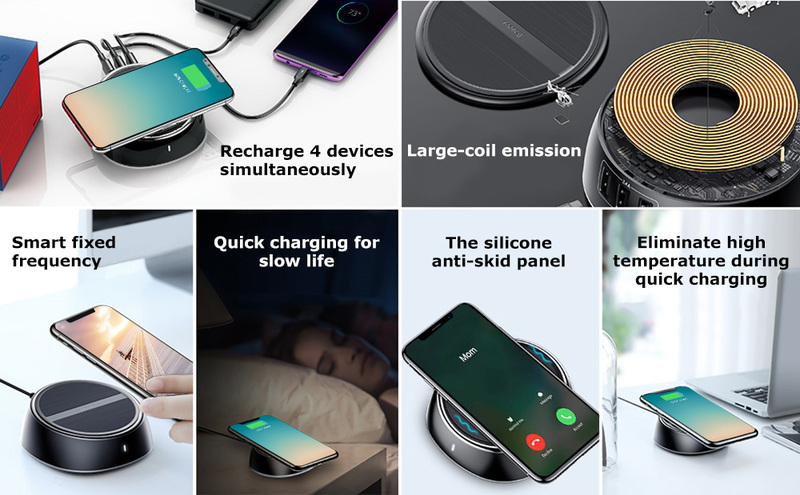 The combination of wireless charging and wired charging. 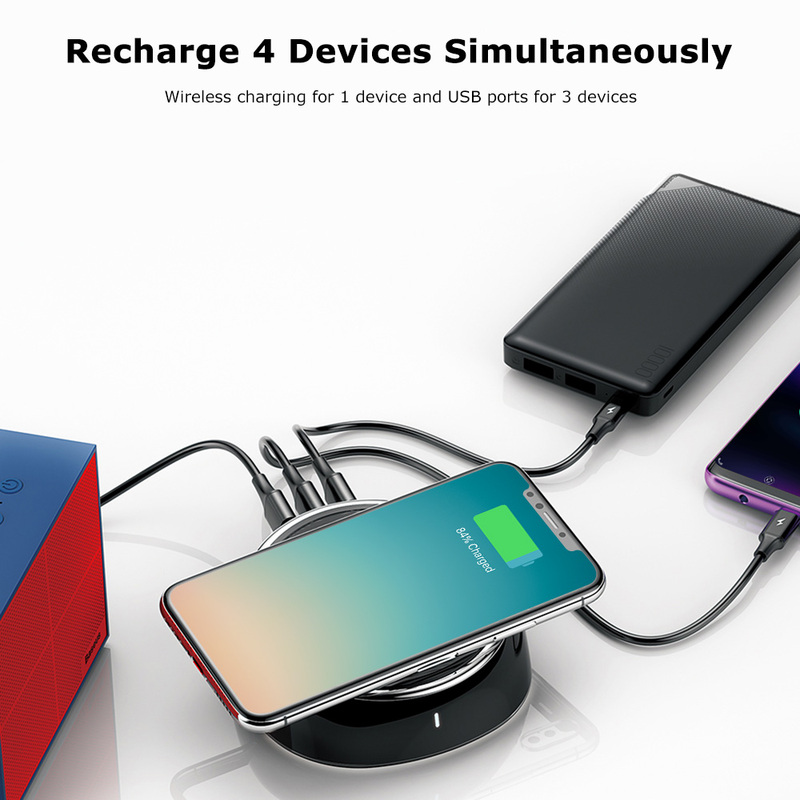 - Recharge for 4 devices simultaneously. 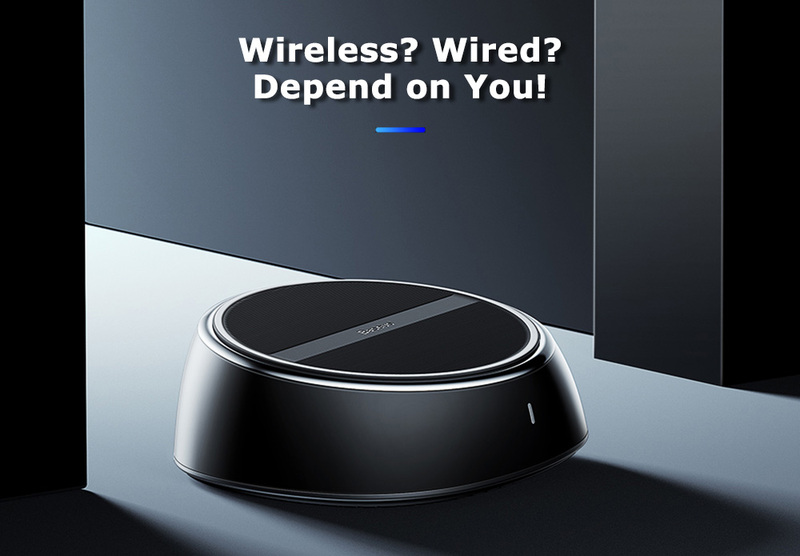 Wireless charging for 1 device and USB ports for 3 devices. 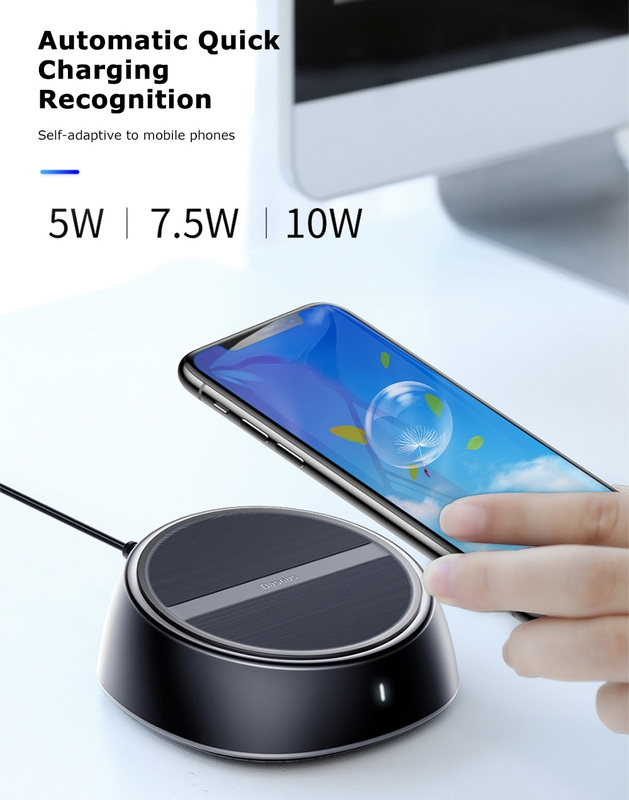 - Support 5W, 7W, 10W fast wireless charging. - Silicone panel is anti-slip. 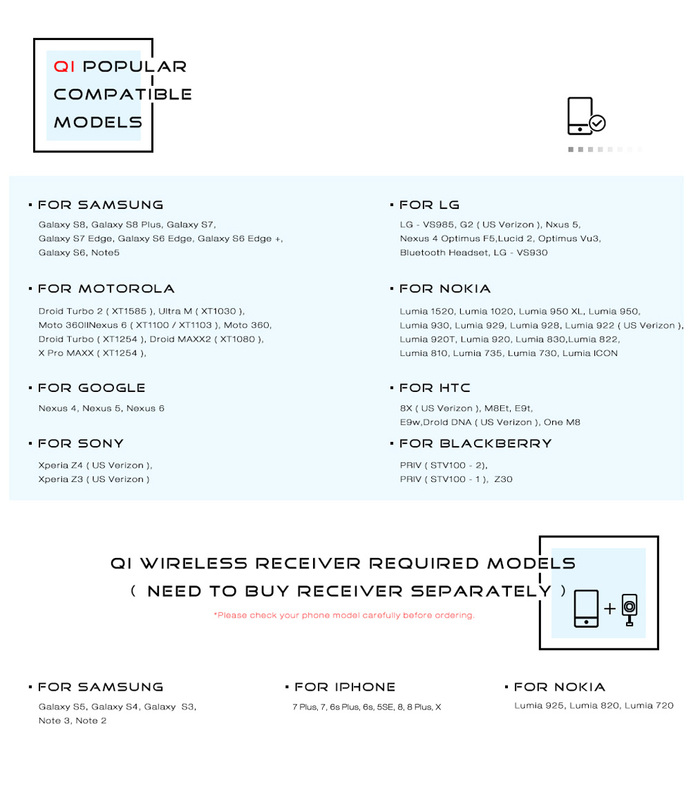 Prevent the mobile phone from falling off. 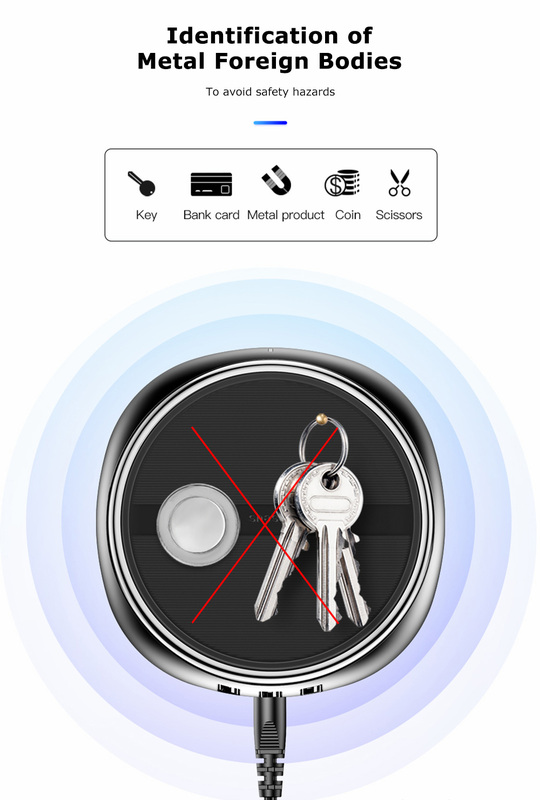 - It enters into dormant state automatically when the phone is fully charged. Prevent over charging. 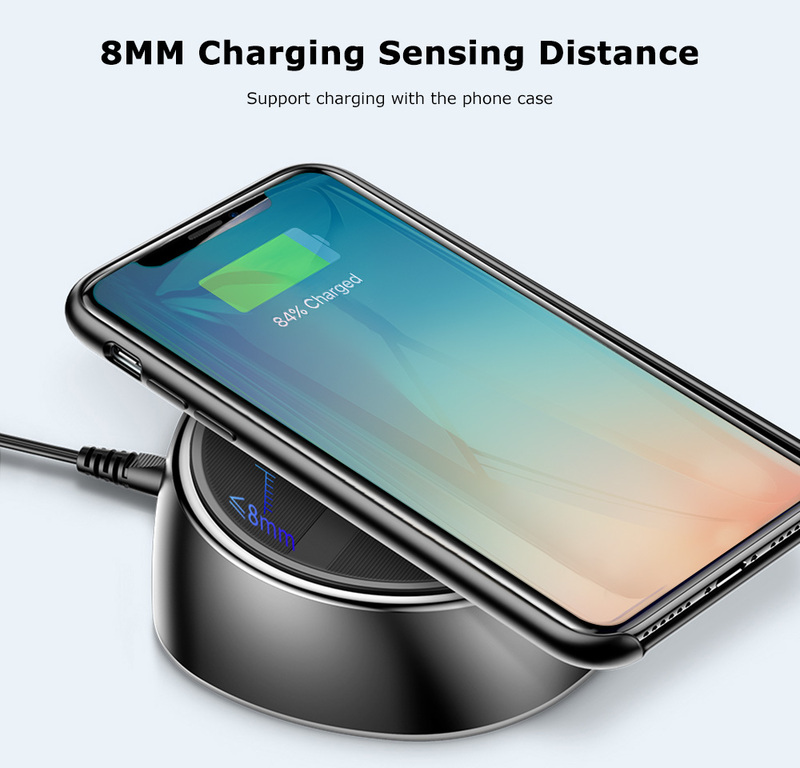 - 8mm charging sensing distance. 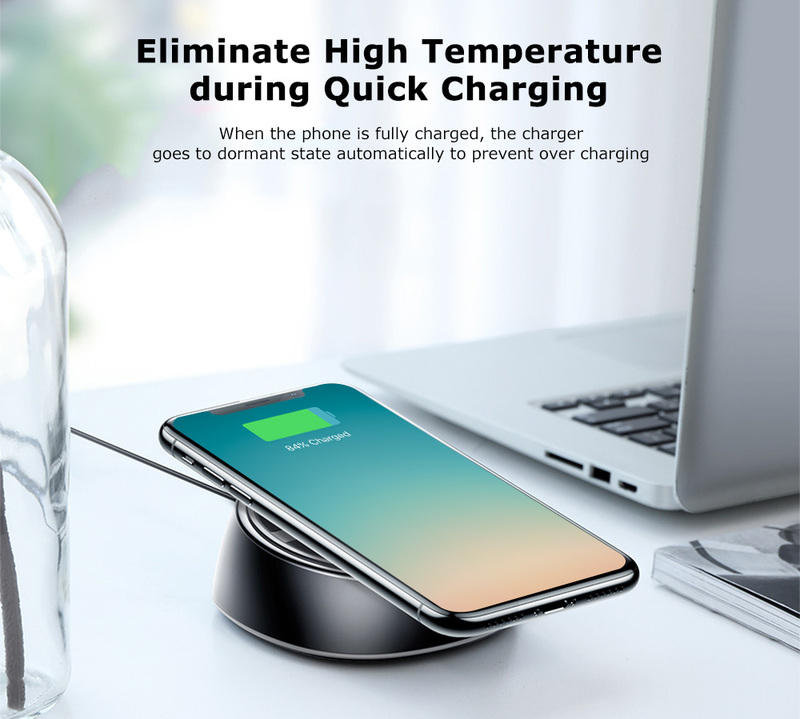 Support charging with the phone case. 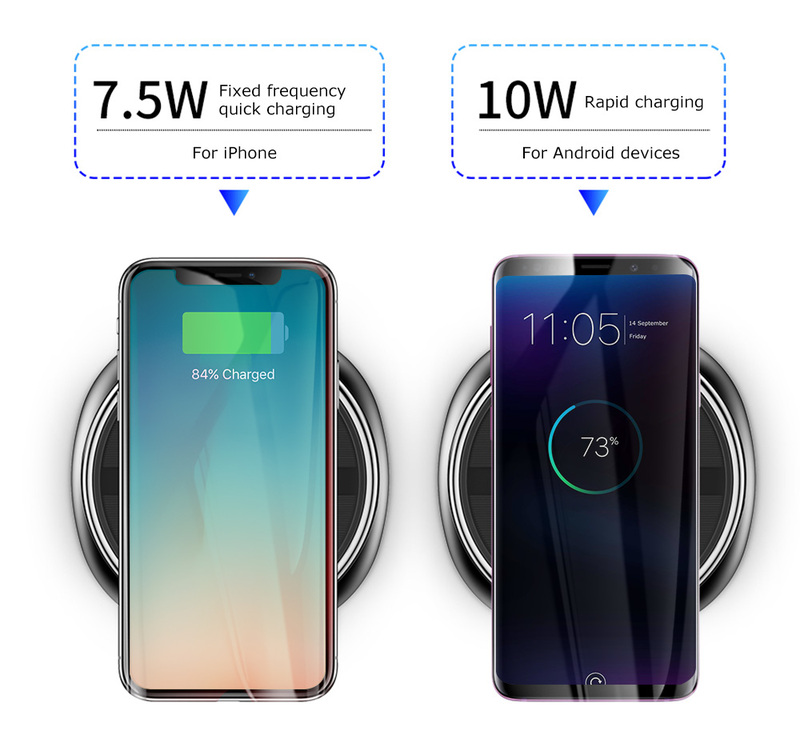 - Wireless charging is suitable for mobile phones with wireless charging function.